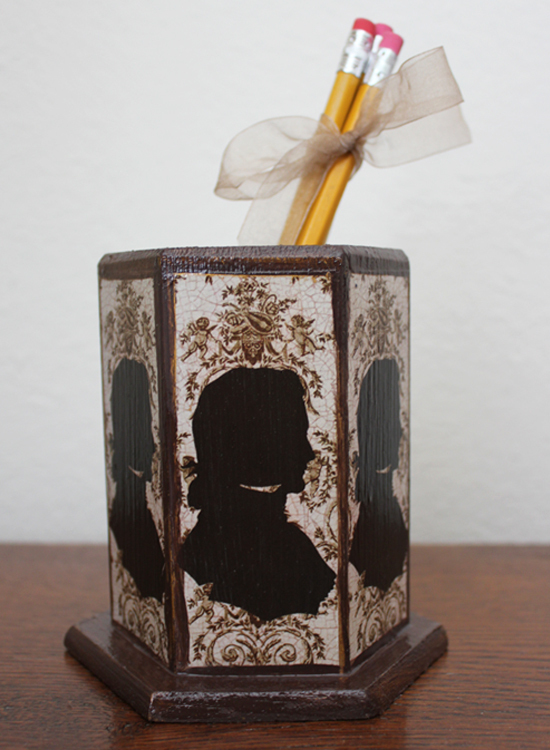 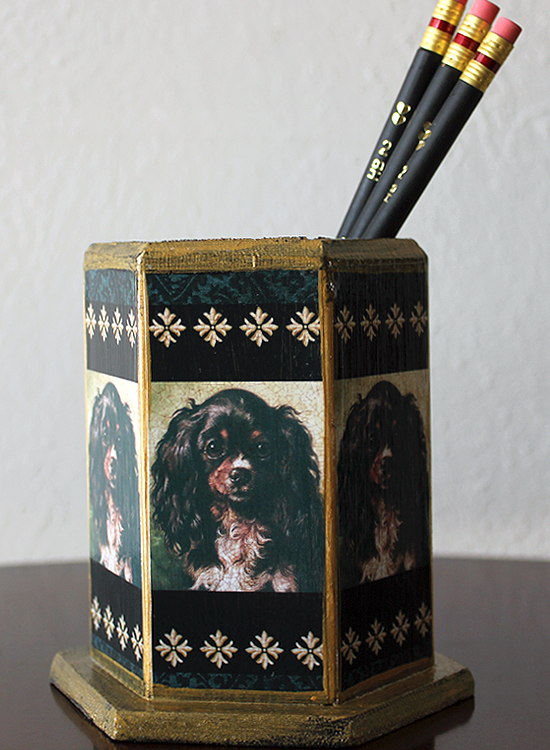 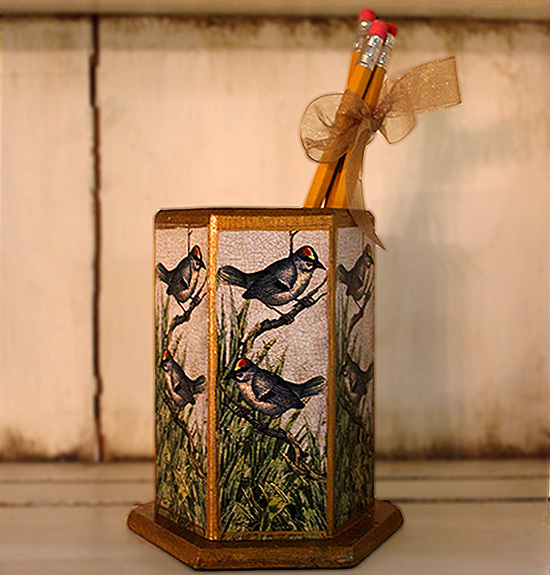 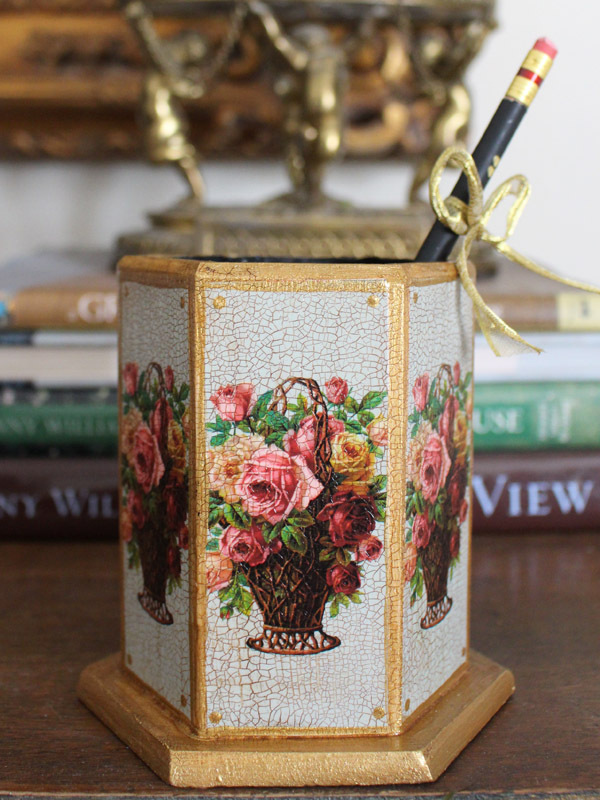 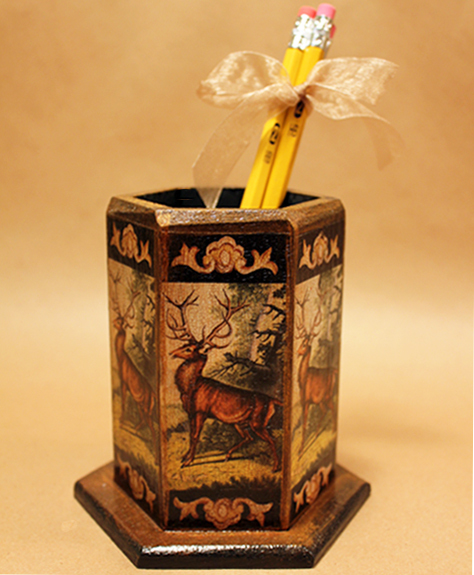 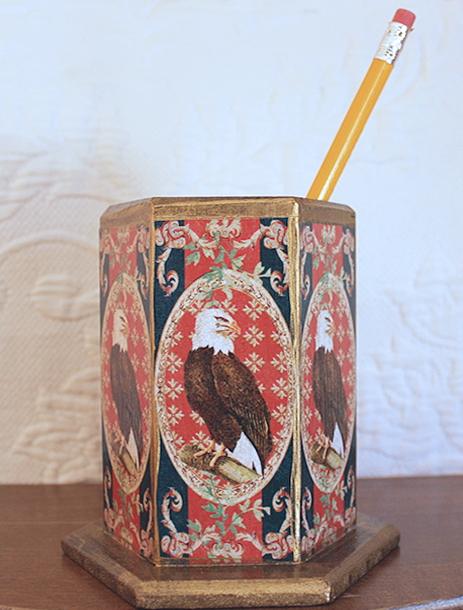 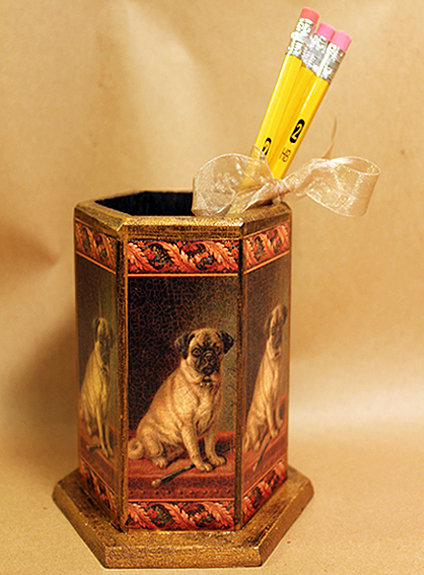 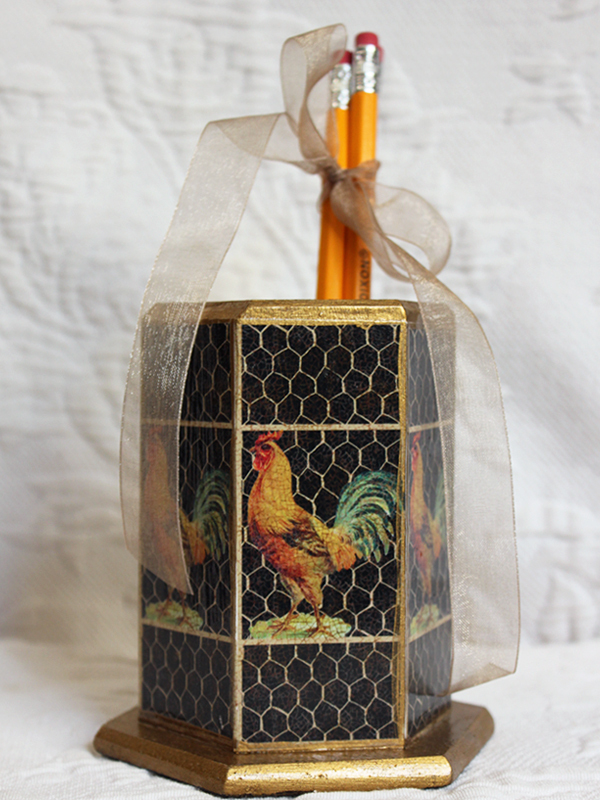 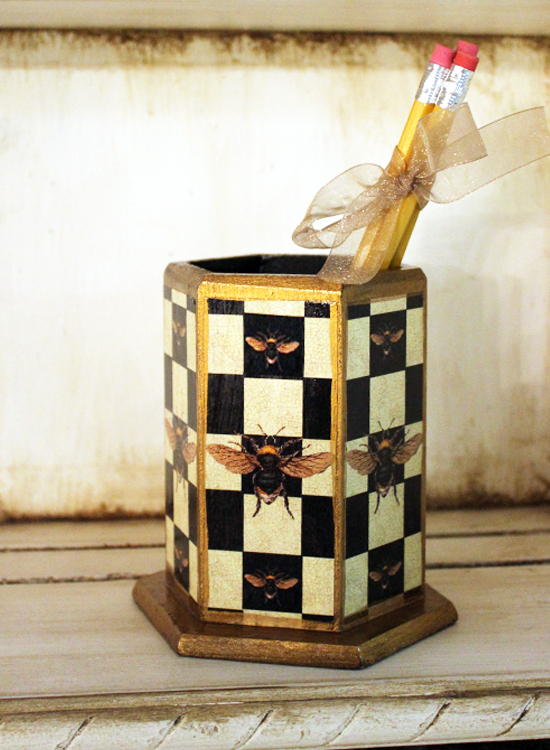 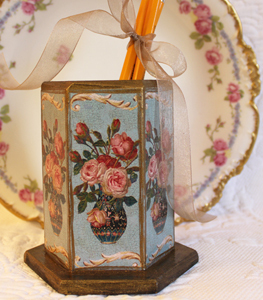 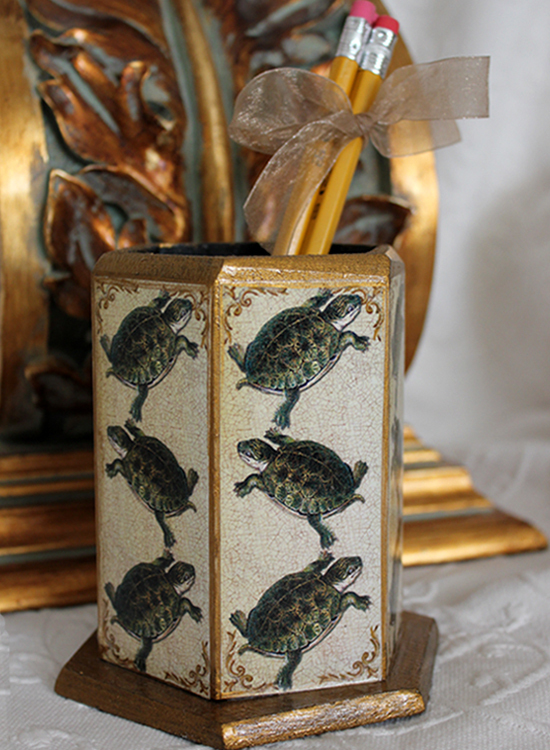 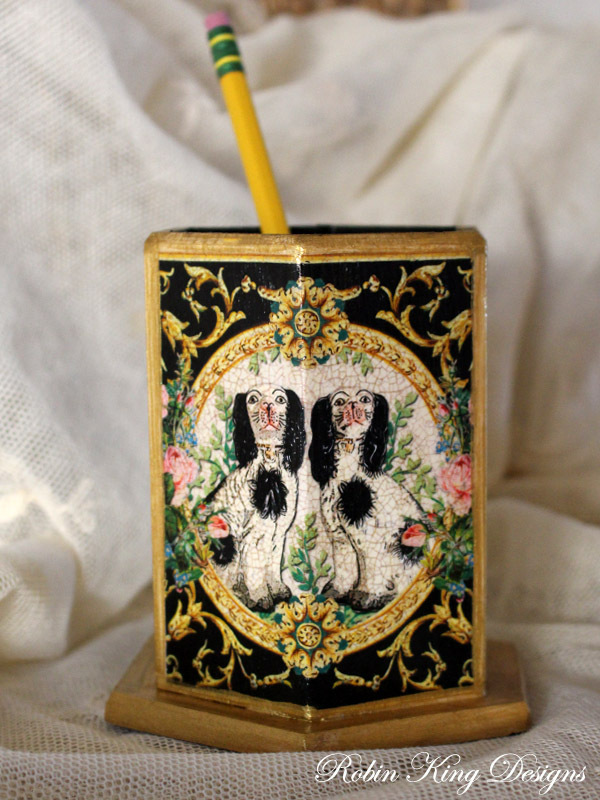 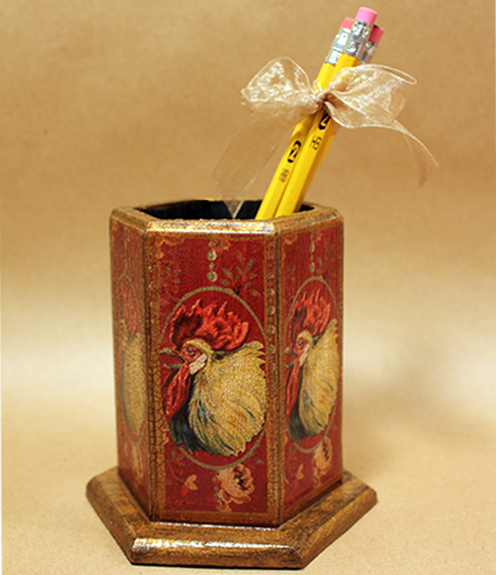 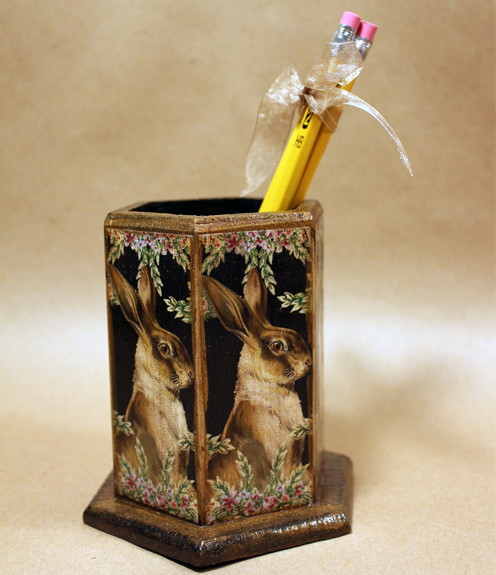 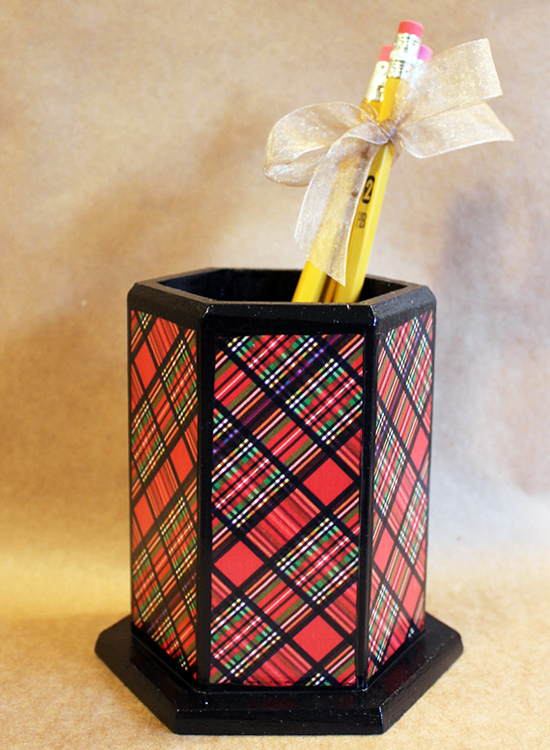 Pencil holders are 4.5 inches tall and feature the same beautiful design on each side. 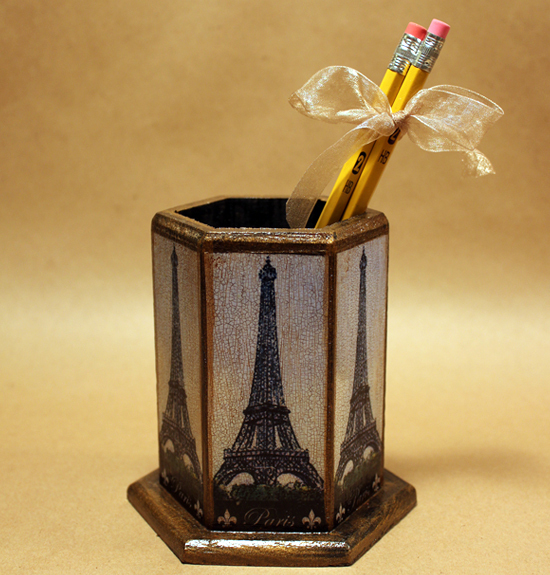 Perfect for pencils, pens, makeup brushes and more. 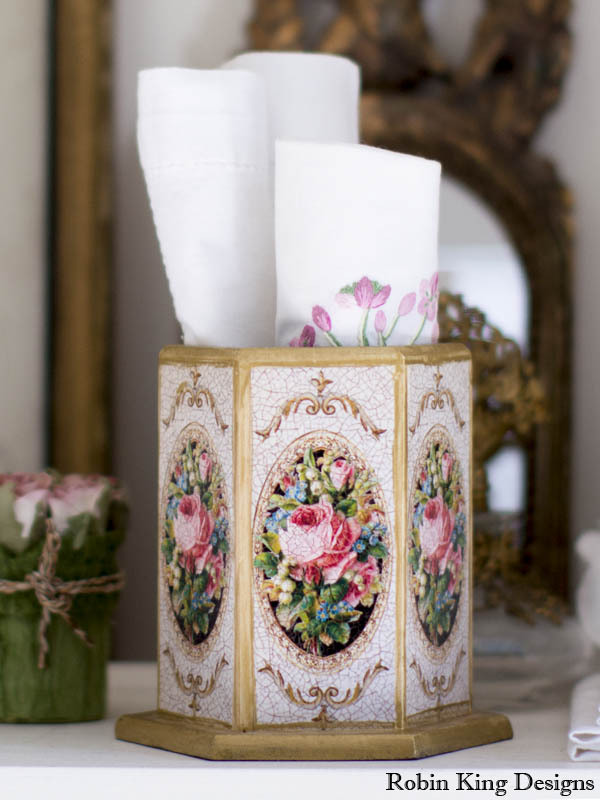 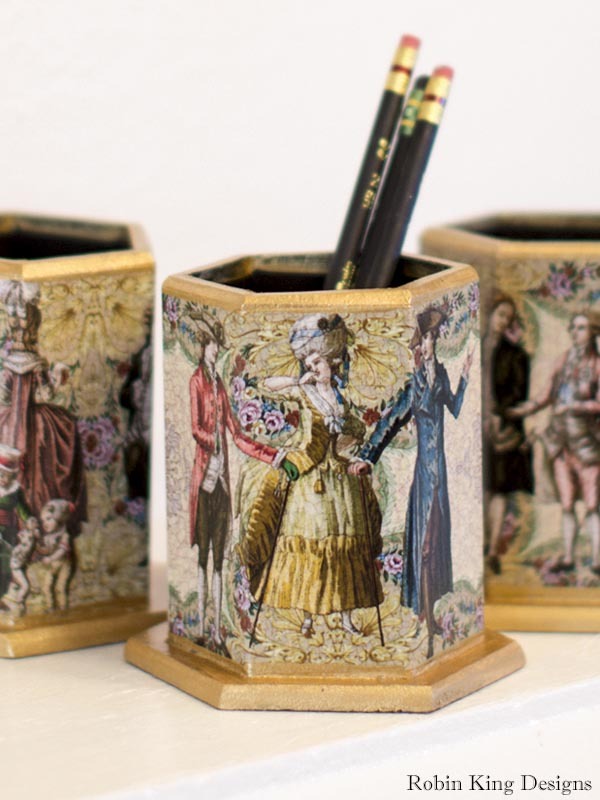 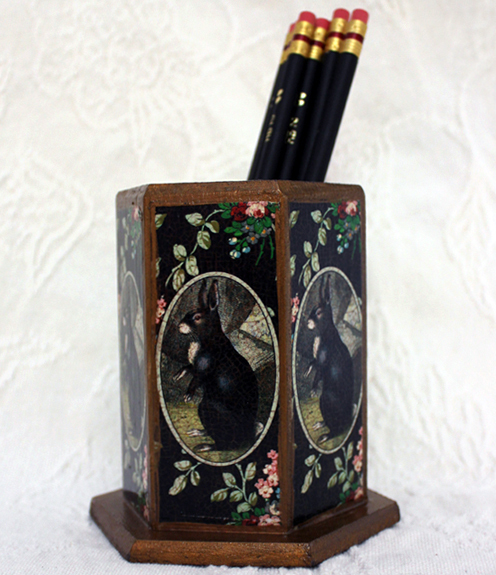 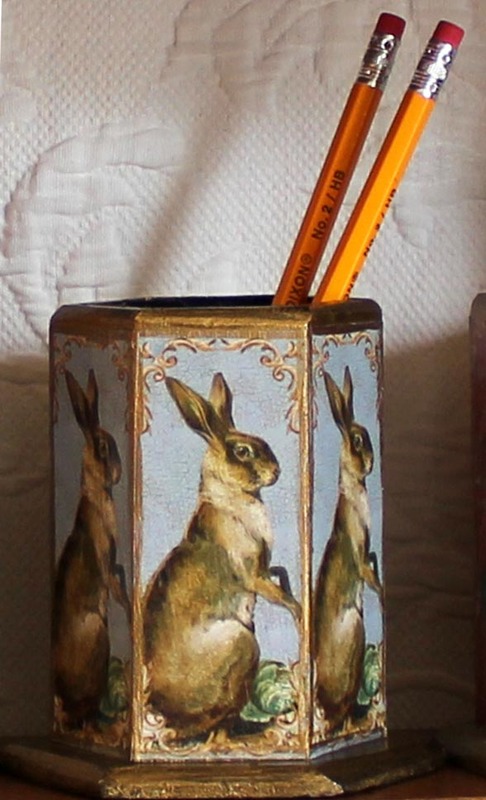 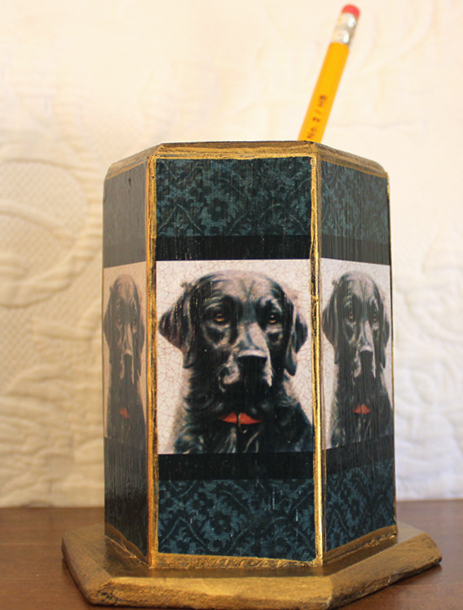 Each decoupage holder is made to order and is signed by the artist.